So, I got this idea for a sort of “Game of Life” computer game. I’m sure you understand the concept from this ‘screen shot’. and find that the car keys are missing. 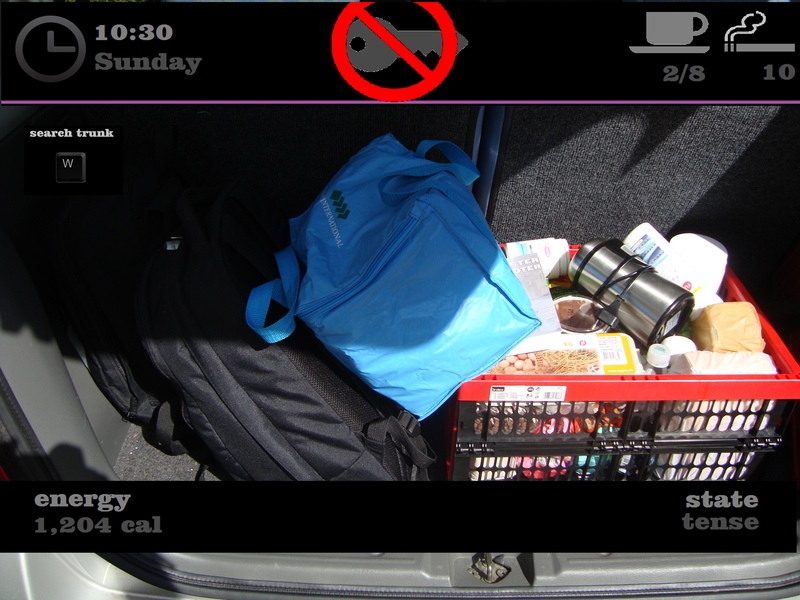 It’s a first person, real-time sort of adventure/puzzle game. 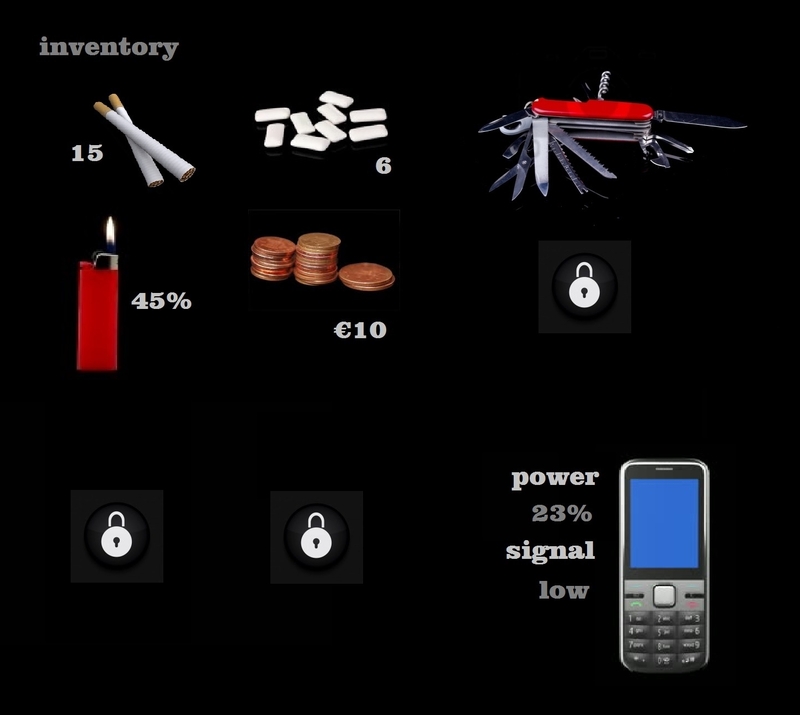 The Game of Life is still in its development phase, so suggestions are welcome. Just wanted to show you a few pictures of this year’s Christmas decorations. 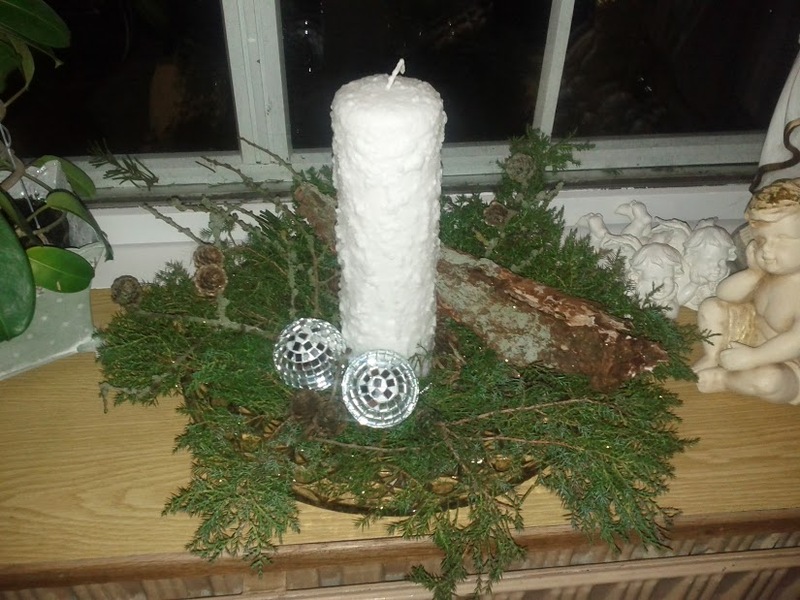 We have a tradition in Denmark to make our own Christmas Decorations, typical concept: candles and evergreen twigs, green and red colours. This year we had no problem finding stuff to use for Christmas Decorations, because our backgarden is covered in fallout left by the extreme storms we’ve had, and since we have four spruce trees and a couple of larchs, there’s both twigs and entire branches plus an addition of cones lying around. 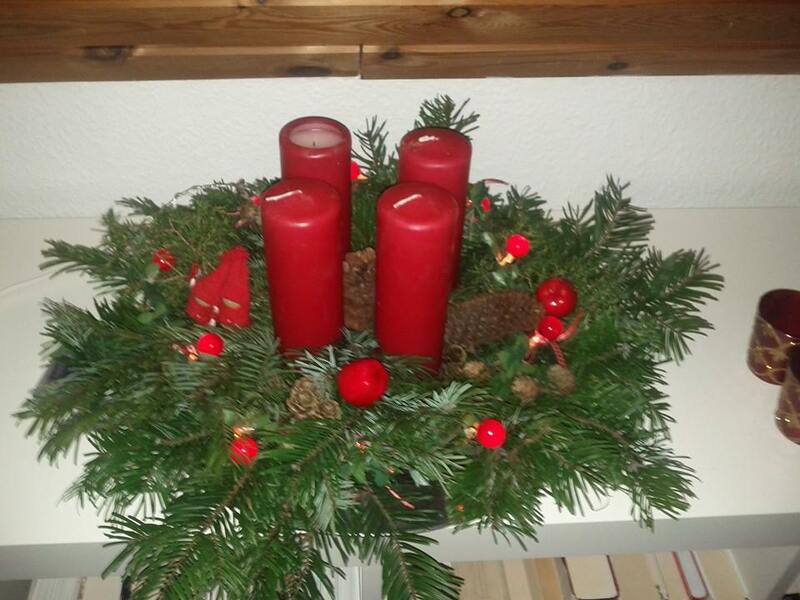 First I made what we call an Advent Wreath: four candles, one for each of the four Sundays before Christmas. I know, this is not technically a wreath, but I’m allowed some artistic liberty here. I also equipped the thing with some red LED lights. 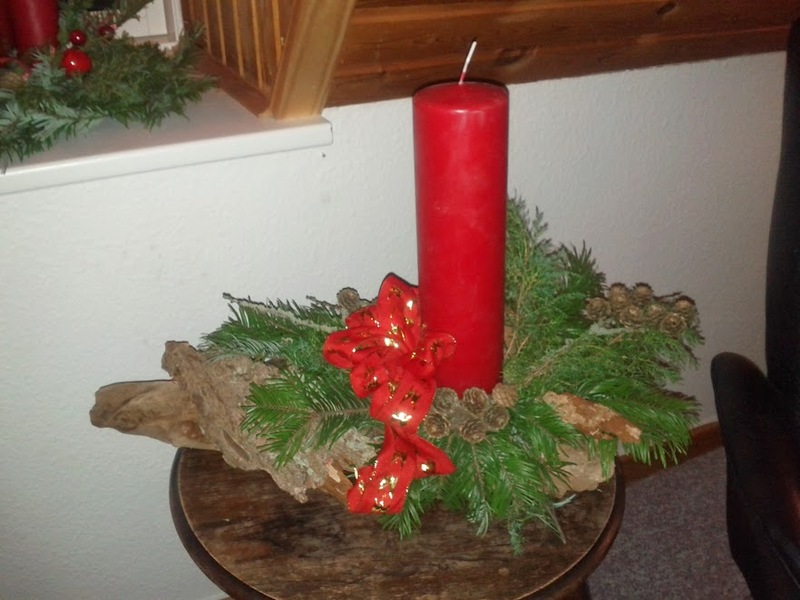 Then my wife took over, and made two really fine decorations, one with the traditional red/green concept and another with a sort of ice/silver concept.